Mitch Albom, author of the best-seller Tuesdays with Morrie, continues to write inspirational books exploring faith and humanity. 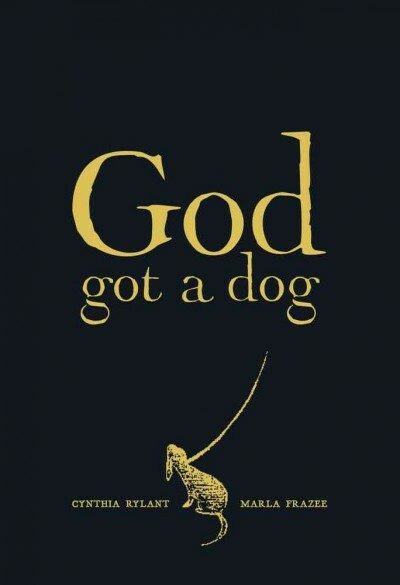 I find his books easy to read with simple plots and sympathetic characters, but each also has a message that lingers. 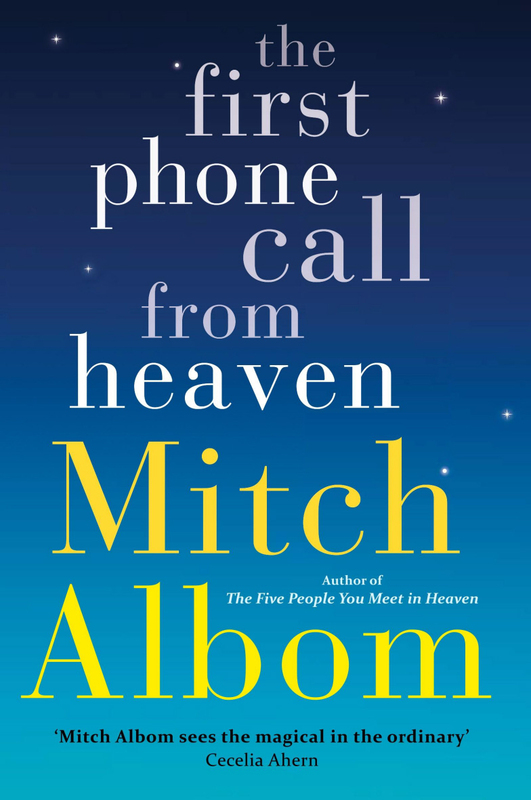 The First Phone Call from Heaven takes place in a small Michigan town. One morning three different people receive phone calls from family members who have passed away. A short conversation–maybe just a phrase–but sending the message that they were communicating from heaven. That same day Sullivan Harding is released from prison. The plot jumps from the history of the telephone to Sully’s story of why he went to prison to the growing interest in these heavenly phone calls. Sully is is trying to carve out a normal life–a life shared with his young son, Julian, but without his beloved wife; a life as an ex-convict, not a respected Navy pilot. The calls intersect directly with Sully when Julian starts questioning when he is going to get a message from his mom. Julian doesn’t see the difference between Sully going away to prison and coming back, and his mom dying and not coming back. Sully determines to get to the bottom of where these calls are really coming from so his son doesn’t hold out false hope for his mom’s return. Meanwhile the calls themselves are gaining national attention. A small-time reporter gets the first interview with a women who received a call from her deceased sister. The video goes viral, throwing the small town into chaos as more and more people come to witness the miracle phone calls. The plot reminds me a little bit about the movie Heaven is for Real, which Chris reviewed a few weeks ago. The phone calls are either real or a complete hoax depending on what you believe. Albom explores the ramifications from many different angles–the individuals receiving the calls, the religious community, the news outlets, the believers, the unbelievers, the curious. And like I said, it will leave you thinking long after you finish the book. This sometimes ludicrous, but always poignant memoir is in part a love poem to public libraries and in part a moving account of living with Tourette’s Syndrome. Josh Hanagarne is a librarian in Salt Lake City Public Library who starts his book by describing his workplace as “a giant pair of glass underpants” and pointing out that in the collection of a public library “there’s something to offend everyone.” He keeps up the literary theme with chapter headings labelled with Dewey Decimal Numbers and a sprinkling of the names of books to make his points. At the same time that is is a celebration of libraries, Hanagarne’s book is also the story of a life lived with the involuntary tics, movements and vocalizations of Tourette’s Syndrome. Hanagarne’s tics started when he was a small boy and made a misery of his teenage years as he dealt with a a difficult and–above all–visible disease. His early adulthood was a story of never being able to settle as he went in and out of jobs and school programs. As the subtitle points out this is also the story of the Power of Family and Josh’s family–parents, siblings, and wife–always supported him through Tourette’s Syndrome, schooling, life, struggles with infertility, and the various types of physical training which he attempted in order to control his tics. He is a large man who works his way up to a 590-pound dead lift (I am not sure what that is, but it sounds incredibly impressive), but from reading his memoir his true strength isn’t physical, rather it is his strength of character and strength as a human being that shines through. Try The World’s Strongest Librarian: A Memoir of Tourette’s, Faith, Strength, and the Power of Family if you like memoirs about overcoming adversity. Other books in our library about living with Tourette’s Syndrome include: Front of the Class: How Tourette Syndrome Made Me the Teacher I Never Had, by Brad Cohen with Lisa Wysocky or Against Medical Advice: a True Story, by James Patterson and Hal Friedman. 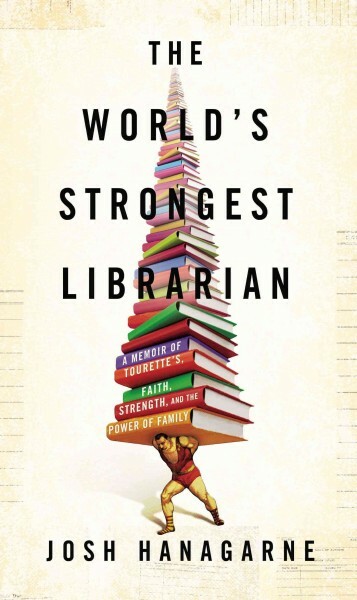 Check the WRL catalog for The World’s Strongest Librarian: A Memoir of Tourette’s, Faith, Strength, and the Power of Family. Sometimes only cosy* will do. On occasion I feel like action and excitement from my literature, and I am willing to put up with violence and despair to get it, but sometimes life requires a more moderate gait. When you need a gentle tome, then Miss Read will deliver. I am new to Miss Read, despite her first book being published in 1955. I was creating a “Curl Up With a Cozy Tale” display at the library and felt drawn to The Christmas Mouse. Being slightly obsessive, I have branched out into her other titles in myriad formats; as ebooks and as audiobooks on CD. Her basic postulation seems to be that nothing in life is so bad that the sadness can’t be lessened by time, a cup of tea and the warmth of family and friends, with special emphasis on the cups of tea. For my commute, I grabbed the first CD that was checked in and plunged into the middle of her Thrush Green series. I discovered that there are a lot of characters, like when my Great Aunty Judith tells me long and involved stories about the internal workings and external marriage problems of distant cousins, and I am expected to keep them all straight. After negotiating a tricky intersection I’d hear something such as, “Betty, Maggie and Dotty all sat down at Betty’s scrubbed kitchen table for a nice cup of tea. Outside the birds hopped among the spring flowers and chirped cheerfully. ‘Tell me all about it,’ said Betty.” I would suddenly realize that I had no idea of the identities of Betty, Maggie and Dotty, but for the enjoyment of the story it doesn’t matter because it is like meeting real people; I am introduced to them as they are now, and then slowly learn about their pasts and how they interconnect to other people we know in common. 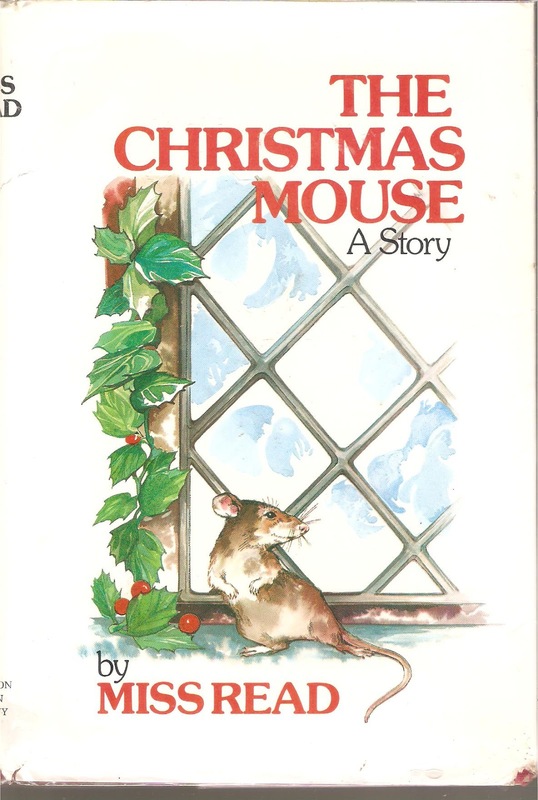 The Christmas Mouse tells the story of Mrs. Berry who lives with her widowed daughter and two small grandchildren. 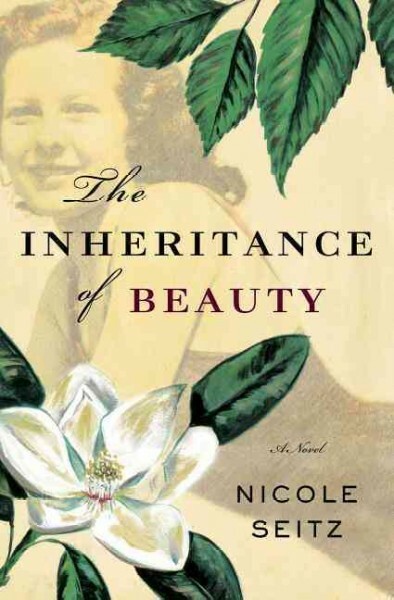 Despite the tragedy of the daughter’s young widowhood, the book gently and with quiet wit paints a portrait of a close and stable family. On Christmas Eve, Mrs. Berry must face her fears–of mice and other stray creatures. The line drawings by J.S. Goodall add to the warmth. The little boy in the frontispiece exudes contentment, sitting in an overlarge armchair, wrapped up in a voluminous coat and slippers, and eating a warm bowl of bread and milk. Try The Christmas Mouse if you are in the mood for cosy. Try it if you are tired of the commercial fuss in the lead up to Christmas, as The Christmas Mouse’s characters don’t have much material stuff, but still make Christmas a warm, loving family affair. And just in case you think this sort of book isn’t intellectually stimulating, I learned a new word, which doesn’t happen frequently in my fiction endeavors: wayzgoose, which is a printers’ outing. Literary quotes at the beginning of each chapter, from Robert Burns to William Wordsworth add to the appeal. * And this is definitely cosy and not cozy because this is a Very British Book. Check the WRL catalog for The Christmas Mouse. I was listening to Unbroken : a World War II Story of Survival, Resilience, and Redemption in my car for my book club, and like many people I was shocked and horrified on many occasions. I knew I needed to listen to The Secret Garden next to regain my equilibrium, even though it is a book that I have read at least six times. I listened to the audiobook on CD. The reader, Flo Gibson, wasn’t who I would have picked as she has an American accent and a kind of scratchy voice but I soon settled into the old story like sliding down into a warm bubble bath. I had previously come to the conclusion that many of the children’s books that I enjoy reading over and over are “cozy,” so I was surprised to discover when I started working in this library that “cozy mystery” is an official designation. It makes sense, as sometimes we all need a cozy and comforting read. In The Secret Garden Mary Lennox is a neglected and spoiled child who has spent her entire ten years being over-indulged by Indian servants. After her parents die in an epidemic she is sent to another dysfunctional household, the home of her uncle at Misselthwaite Manor on the Yorkshire Moors. There she meets the sturdy Martha and Dickon, representatives of a family of fourteen. She makes friends with an elderly and crabby gardener, Ben Weatherstaff, through her interest in a friendly robin. There are also also mysterious noises and howlings down the corridors of the huge house. And of course, she discovers a hidden and secret garden. In this story, the Yorkshire Moors themselves, as well as the Secret Garden, are characters just as much as the people. As the season changes from winter to spring and on into summer, Mary changes, the garden and the Moors change, and so too does everyone at Misselthwaite Manor. This book was first published in 1911 and what I find intriguing 100 years later is the psychology of Mary and other characters. Despite Dickon and Martha’s material poverty they are well loved and looked after and it shows in their steady, kind ways. 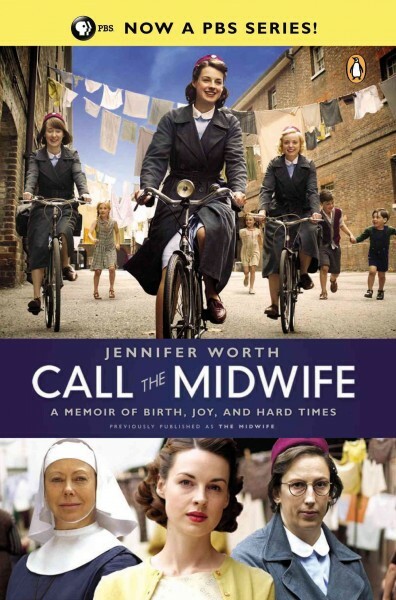 Mary, on the other hand, starts the book emotionally impoverished but gains a purpose and learns to love and live under the influence of attention. The book is also full of gentle humor, especially in the character of Ben Weatherstaff. When I was talking about cozy children’s books, a colleague at the library recommended an out-of-print book, The Golden Name Day by Jennie D. Lindquist. It captures the joy of being a child, that many adults are yearning to regain. “Oh, anything can happen in this world, just anything. That’s why life is so exciting,” says Nancy towards the end of that book. Other out-of-print (and sometimes obscure) books in this category that I love include: World’s End series by Monica Dickens, Green Smoke by Rosemary Manning, The Blow and Grow Year by Margaret Potter and Longtime Passing by Hesba Brinsmead. For those who have read The Secret Garden before, perhaps years ago as a child, I highly recommend a second look through the eyes of an adult. For those who have never tried it, it is a deeply hopeful story about redemption through the natural world and redemption through love. 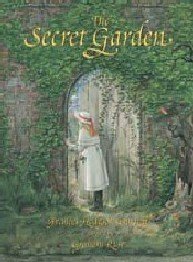 Check the WRL catalog for The Secret Garden in book form. Check the WRL catalog for The Secret Garden on audiobook CD.